[ARTICLE]: The Ways of the Scout: An Interview with Tom Brown Jr. by Tom Brown Jr.
"Scouts [of the Apache American Indian tribes of the North American Southwest] are the eyes and ears of the tribe. That has nothing to do with the United States military, cavalry, or that kind of thing. They are a very close-knit group, very similar to Ninjas. Even their own families never even knew they were..."
Tom Brown Jr. Began to learn hunting, tracking, and the ways of the wilderness at the age of eight under the tutelage of an Apache elder, medicine man, and scout in Toms River, New Jersey. 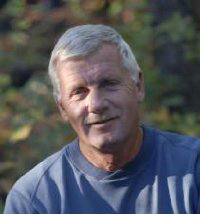 Tom is the author of sixteen books on nature. Recently, he was the technical advisor on The Hunted, a major motion picture starring Tommy Lee Jones and Benicio del Toro. The Urban Aboriginal (TUA): Please give a us the definition of a Scout. Tom: When you look at the term "Apache Scouts", that is the scouts...the Native Americans...the Apaches, hired by the United States Military to track down other Apaches. You know the military had said to "track an Apache you'd better get an Apache" so we got the term scout. But, you see, that is the wrong definition. 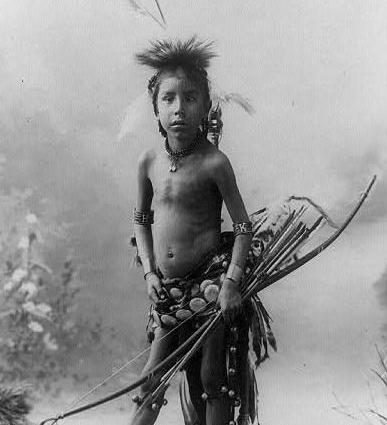 Scouts [of the Apache] are the eyes and ears of the tribe. That has nothing to do with the United States military, cavalry, that kind of thing. They are a very close-knit group, very similar to Ninjas, in that their own families never even knew they were Scouts. But these are the people of the Cibuecue, the Mescalero, and Grandfather's people, the Southern Lipan, old Apache tribes that had "Scout" groups, and of course they were general hunters and warriors and stuff like that, but it was an elite group of individuals. They were masters of high-speed invisible survival. They were tremendously physically fit. They were tremendously talented. They were masters of tracking. All your pressure releases have come from the Apache Scouts, stalking [techniques] and stuff like that. They were absolutely masters of awareness. They had to be because their role was to keep the tribe safe. And what they do then, the men and women that were scouts, would say well, "we're going out hunting or gathering." and then secretly meet, do a reconnaissance type of thing and then they had their "chain" [network] of getting [information] back to the chiefs of the tribe. Generally they got back to the matriarchs, the women of the tribe. So the tribe could plan and maneuver itself so that it could get to the best hunting areas, but also to avoid enemies. So the Scouts had to be masters of it all. To me, when I say in a Standard Class, they are like the "gods" of the wilderness, small "g". I mean it. When I see a Scout, when I hear the term Scout in the context of Grandfather's definition, first and foremost I see a Shaman, because these individual were highly spiritual, very highly spiritual. TUA: When did training begin for an Apache Scout? Tom: Usually around the age of 7. If they showed some attribute, or a passion [in a related skill] or...you know, how kids like to sneak up and stuff. Scouts would watch [the children] to see who had that cleverness, stealth, or cunning to be in the shadows and stuff like that. But they [Scouts] recruited [in such a way] so the kids' parents thought they were out playing or gathering (the Scouts would start [be] training them). So it's pretty amazing, the system of training that got started. It was on going. As you know you don't set aside one hour or one day a week [for training] it's constantly thinking and working, an on-going thing. TUA: How many Scouts could you find in a tribe? Tom: About 12 for a whole tribe, but consider a tribe made up of lots of clans. You got 6 or 10 clans. So it could be as many as 24, 25 but you got a lot of elders [looking over the younger Scouts], but the core is about 12-15. 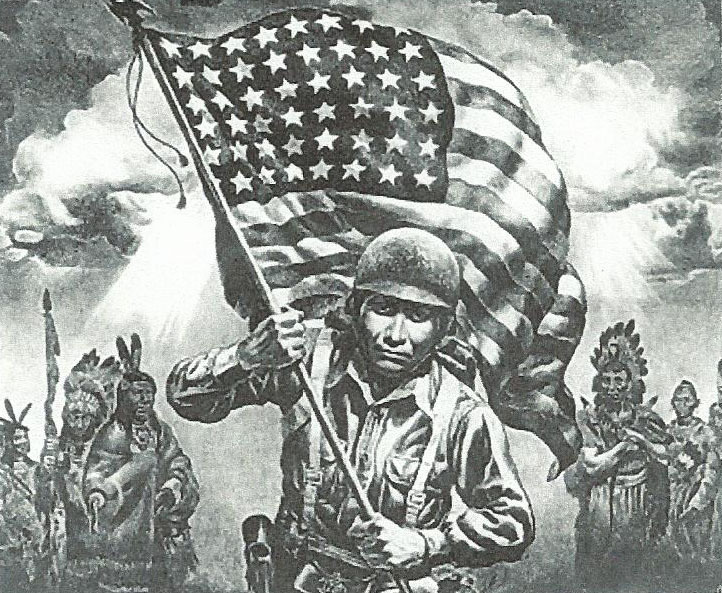 TUA: It's been said that the ancient Apache Scouts were as formidable as 5 or 10 U.S. soldiers or cavalry in the 19th century. Tom: Absolutely! When you look at the statistics of war for the Apache according to the military, easily 20...in that they [soldiers] would not see them. The goal of the Scout was to get in and out without engaging the enemy. But, if they ever engaged the enemy they were lethal, they were masters of what was called "Wolverine Fighting". Now, Wolverine Fighting is if you take a fully-grown grizzly bear and it pisses off a wolverine you flip a coin, in a life-or-death struggle, either could win. The wolverine is so quick, so deadly...it's like, it hits a trigger and suddenly it's all out, there's nothing held back! If you've watched this it's amazing! 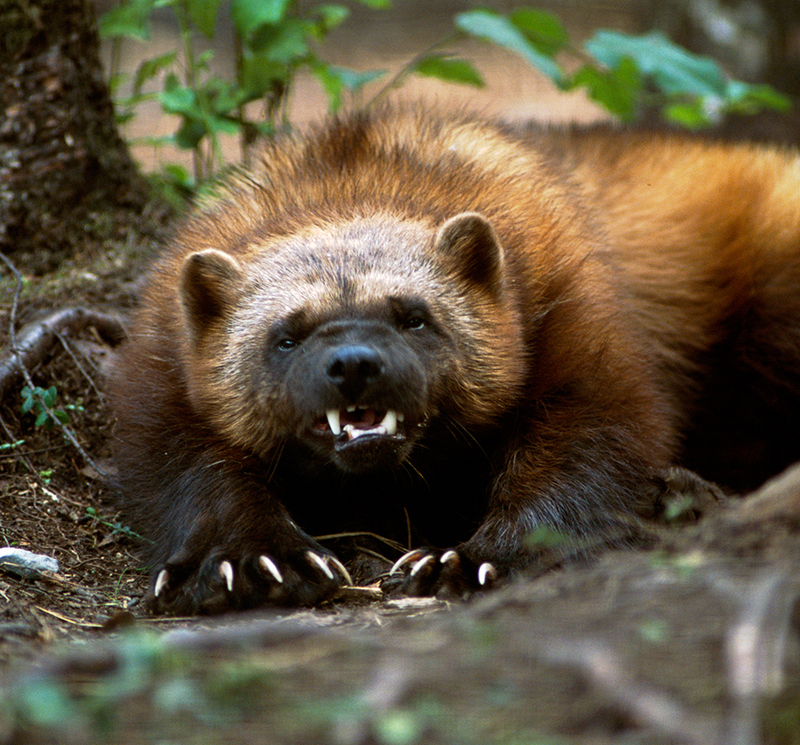 I watched a film clip [of a fight between a grizzly and a wolverine] once, and it [the wolverine] just lacerated. It kept biting it repeatedly...in and out...in and out. The grizzly couldn't get to it. The wolverine gashed it at the throat...it kept attacking until the grizzly was dead. Then the damn thing [the wolverine] just started to eat it! TUA: How would you categorize the fighting style of the ancient Scouts? Tom: Well, you've heard of Ninjitsu. If you take a little bit of Ninjitsu...Kali...and a little bit of Kung fu...mix them all together and throw in some hair of wolverine...you got it! It's amazing! Like when George and Vanessa Larson, and Paul Bonner came here and started to learn the Apache martial arts, they looked at me and said, "Wow! This move is the same!" There are more moves that are the same than are different. But, they didn't have things like katas and stuff like that. They showed basic things...you know, basic moves; there was lance fighting, knife-fighting as well as open hand fighting, chokes, throws, and every thing else. But katas were what the person wanted to put together as they worked out letting the moves come randomly. Instead of a regimented kata-like system. TUA: So it was more conceptualized? Teach me to be the eyes of my people. Teach me to move like the shadow. The soils, and the life forces in all its forms. Allow me to suffer for my people and take away their pain. Honor me by allowing me to die for my people. Sacrifice my all for my people, my earth and for you. Test me beyond all hardship and pain. As your servant - your Scout." So basically that was what being a Scout was all about. So when you are entrusted with the lives of your people, your children, your family, your tribe, you are going to push your self. Because you are not just pushing for yourself, you are pushing your self for something greater than yourself. TUA: I just have a few more questions. You have answered a lot of them already...you mentioned that there were female Scouts? TUA: [Chuckle] Yes I know...Um, You've trained the military, can you talk about some of your successes and/or some of your successful military students? Tom: When I began teaching certain groups of Navy S.E.A.L.s when they came through my advanced training, this was during the Vietnam era; I never lost a man to a booby trap or an ambush. When I met Chuck his platoons had been blown up, and ambushes, and stuff, but after I got them [they] had done 4 more tours of duty and made it through. TUA: A lot of people associate survival and scout training to likes of fictional characters such as "Rambo" and the like...how much of what is portrayed [in the movies] is reality versus fiction? Tom: You know, they say truth is sometimes stranger than fiction...after people go through the Scout training, just the basic class their whole lives change. They are truly at home in the wilderness. There's this line in Rambo, the classic is where he dives out of the plane and into this huge jungle and his CO says he's the best of the best what we call hell he calls home. A lot of the training we do at the Scout classes gets the student aware, attuned, and relaxed into their environment...tracking, stalking, learning to call nature truly their home. 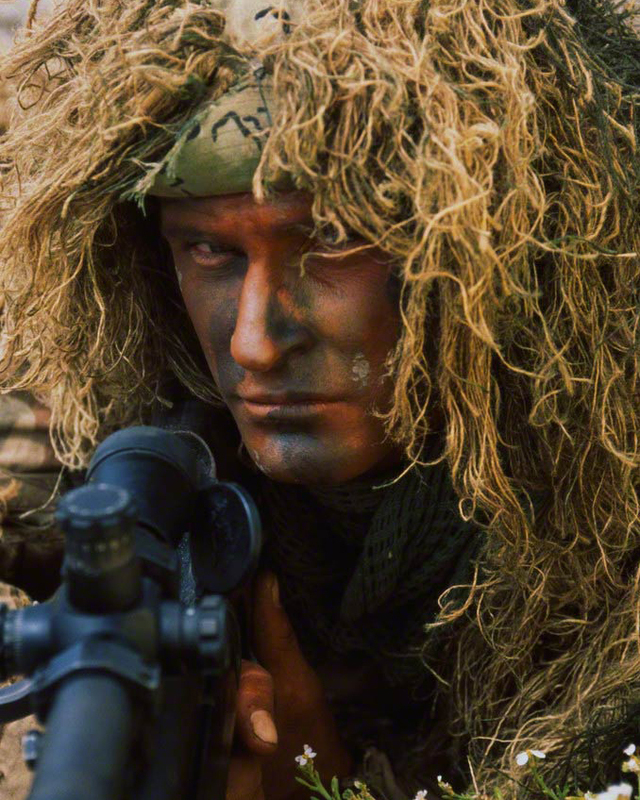 So yeah, a Rambo fictional character could be long steeped in reality, and that doesn't depend so much on military training as the individual. TUA: I know we are running out of time so I will ask a final three-fold question: First question. What modern day jobs or careers do Scout skills apply to in ways to help others? Next, you have a new a new class called the "Urban Scout". Can you explain the class and what your goals are for the students to achieve in this class? Lastly, in teaching people these ancient skills what are your goals for the future? Tom: What jobs does it apply to? Any career where awareness is applied to, and the ability to track...meaning, say you want to make some business deal or what ever. You see what I am training is a high-awareness. The Urban Scout is just another playground. You know, for people to test their skills. They are not out there being voyeurs and peeping toms but, a lot of my Scouts put their skills to use by taking pictures say for instance at parks, of drug deals going down, covertly get license plates and send then them anonymously to the police. You know so it's almost like a family, you know? They come and glean all this information and so instead of going to the tribe with it packages it up and sends it to the police. So I think the Scout philosophy applies not so much to military training and police officers but to the business executive as well. Because I think there is so much about our reactions and interactions with other people that the Scout philosophy can apply to. TUA: I know you are very busy. Thank you for taking this time to share information about the way of the Scouts.